I decided to branch out a little bit and try a monthly treats subscription. This particular one is from a company called MunchPak based out of the United States. They ship worldwide and you can order a subscription for yourself on a monthly basis/for longer durations or gift it to someone in 3, 6 or 12 month increments. MunchPak is an assortment of the best snacks from around the world delivered to your home, dorm room, or office as often as you would like. You can opt to have delivery weekly, bi-weekly and monthly. You can customize it up the wazoo and there are extra charges for customization. MunchPak currently accepts; Visa, Mastercard, Discover, American Express, Paypal, and Bitcoin. Whew - that's a good bit of information. Let's look at what I received in detail. 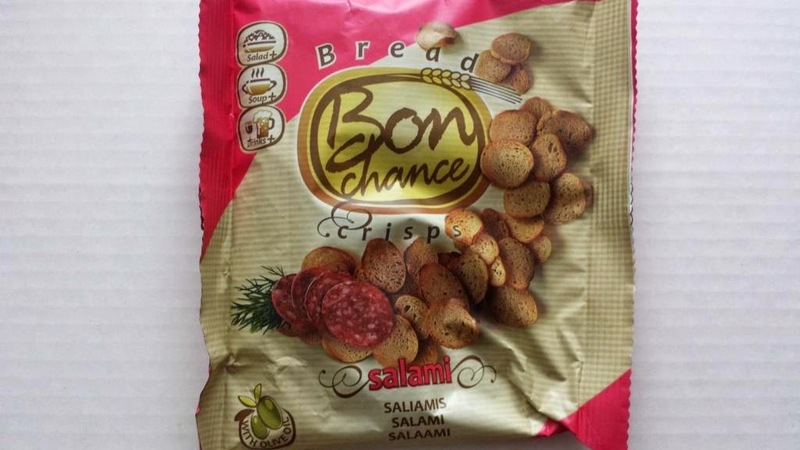 Bon Chance Salami Taste Flavored Crisps from Lithuania. I haven't tried them yet - likely I will try it with cheese. Cajillions Blue Raspberry - Tiny, tasty, sweet, chewy little candies in a lot (about a cajillion) teeny tiny little delicious pieces. Blue raspberry flavor. Product is from China. 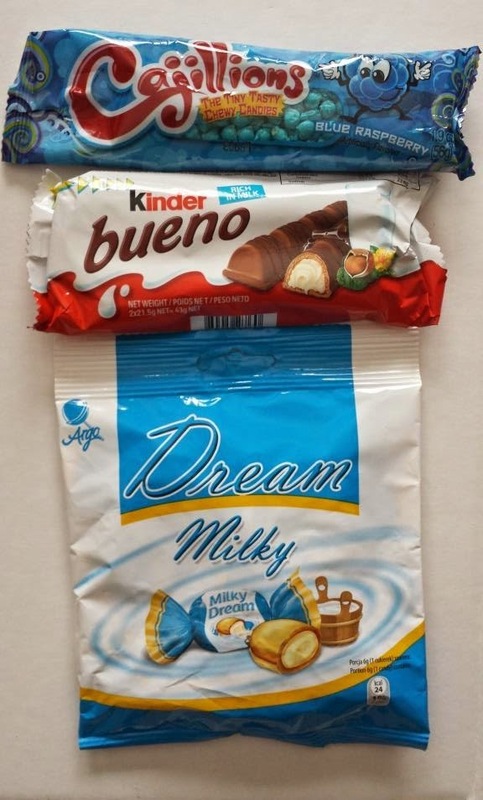 Kinder Bueno - The Kinder Bueno is a chocolate bar made by Italian confectioner Ferrero. Exceptionally delicious milk chocolate with Hazelnut cream filling. 2 bars in each package. Product is from Italy. 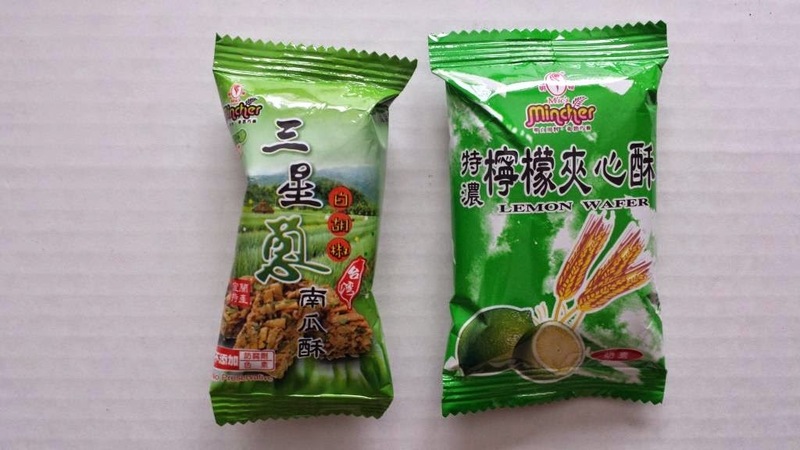 Ming Chi Taiwan Lemon Wafer - Lemon flavoured snack from Taiwan. Ming Chi Sunshin Scallion Pumpkin Cake from Taiwan. MunchPak Mini (5-6 Snacks) - check. 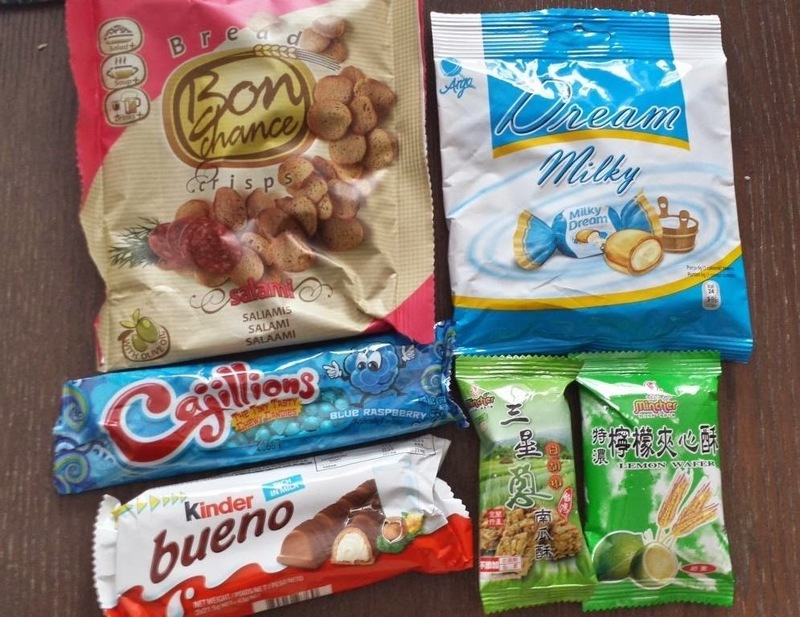 I find this a very interesting mix of treats from 5 different countries. Only 1 of which I have ever had before (Kinder Bueno). You may notice that I didn't put links or a value to these treats. I found it difficult to find some and certainly put a cost on them. I think I'm subscribing to the novelty of something new to me. I'm going to keep this subscription - I think it is neat.